Need Cash Now! Our Estate Buyers Pay Top Dollar! We Buy Estates and Collectibles! At Fidelity Estate Services, we understand that there are situations when a client wants to sell a specific collection or simply cannot afford to wait in order to hold an estate sale or estate auction. This is why we offer an Estate Buyout Service that allows you to liquidate your collection or estate immediately. You will receive cash for all the items and empty your house at the same time. Our Arizona Estate Buyout Service is the best option for those who need to empty a home as soon as possible or have a select few items that they need to sell in order to raise money. In addition to purchasing entire estates, we buy special collections as well as individual high value items such as antiques, furniture, mid-century modern furniture, artwork, guns, gold, silver and fine estate jewelry. Fidelity Estate Services is one of Arizona’s top Estate Buyers in Phoenix! We buy entire estates in Arizona for cash and will leave your Estate in “Broom Clean Condition.” Contact us today to sell your estate or collection! Our consultation is free for this service. We Buy Gold! Don’t sell your gold to a gold dealer or Arizona pawn shop for scrap gold prices without calling Fidelity Estate Services first. We will pay top dollar for your gold coins, gold bullion, fine jewelry, estate jewelry and heirloom jewelry. We buy precious gemstones, diamond rings, loose diamonds, as well as luxury watches such as Rolex and more! We can pay top dollar for Gold because Fidelity Estate Services is one of the top Gold Buyers in Phoenix and throughout the state of Arizona. We Buy Silver! Don’t sell your silver to a silver dealer in Arizona or Phoenix pawn shop for scrap silver prices without calling us first! We pay cash for your silver coins, silver bullion, silver eagles, silver dollars, half dollars, quarters, dimes, Native American Jewelry and silver jewelry. 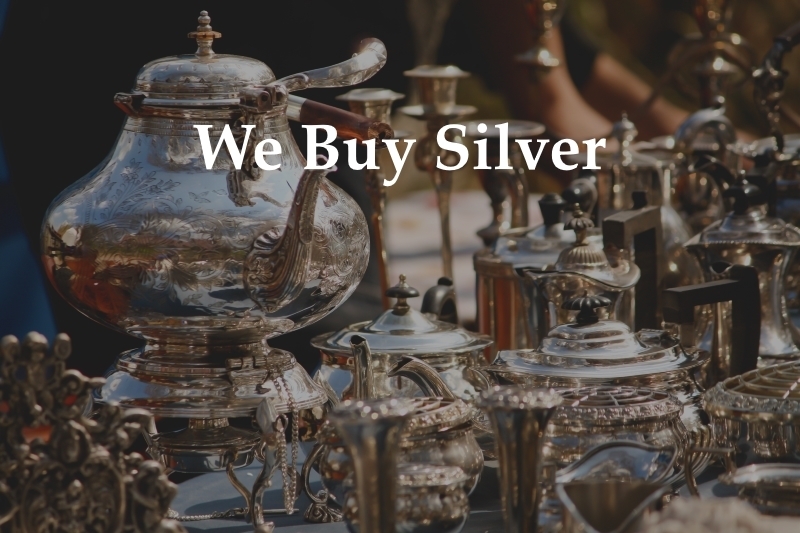 We buy sterling silver flatware, antique silver tea sets, silver vases, collectibles or any other silver household items. Don’t sell your silver for scrap metal value when you could possibly have something much more valuable. We can pay top dollar for silver because Fidelity Estate Services is one of the top Silver Buyers in Phoenix and throughout the state of Arizona. We Buy Jewelry! Don’t sell your jewelry to a jewelry store without calling us first! We buy gold and silver estate jewelry, fine jewelry, Native American jewelry, runway jewelry, designer jewelry, Rolex watches, one of a kind designed jewelry and even scrap gold jewelry. 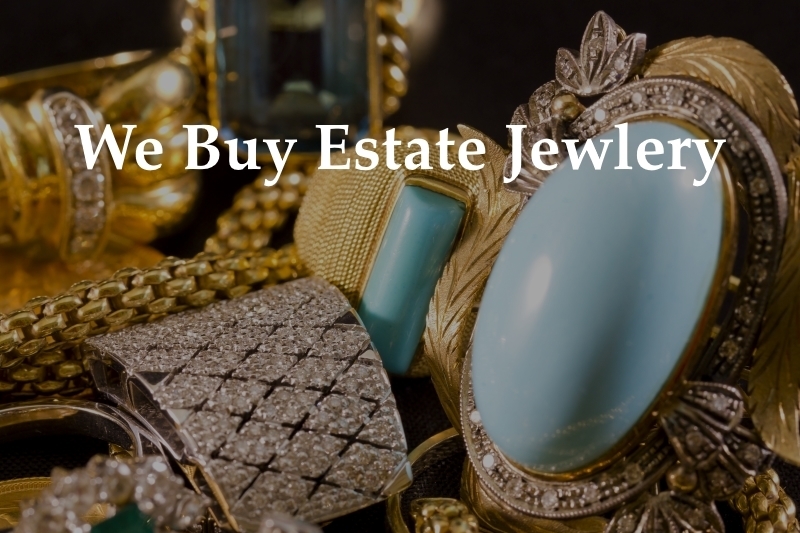 We can pay top dollar for your estate jewelry because Fidelity Estate Services is one of Arizona’s top jewelry buyers in Phoenix! We Buy Diamonds! Don’t sell your diamonds and precious gems to a pawn shop or jewelry store without calling us first. In many cases, we will pay more money than most of the high-end jewelry stores who buy estate jewelry and diamonds. Don’t let their location fool you into selling your valuable jewelry for less than what it is worth. We will pay top dollar for Diamonds and precious gemstones because we have a large network of diamond buyers throughout the United States! We Buy Guns and Firearms! We want your gun collection! If you have a personal gun collection that you are looking to sell, call Fidelity Estate Services before you go to an Arizona gun dealer or gun broker. We will pay top dollar for private gun collections whether they are modern firearms or antique guns and weapons. We Buy Collectibles! Sell us your special collections, fine porcelains, old toys, clocks, rare books and manuscripts and more! 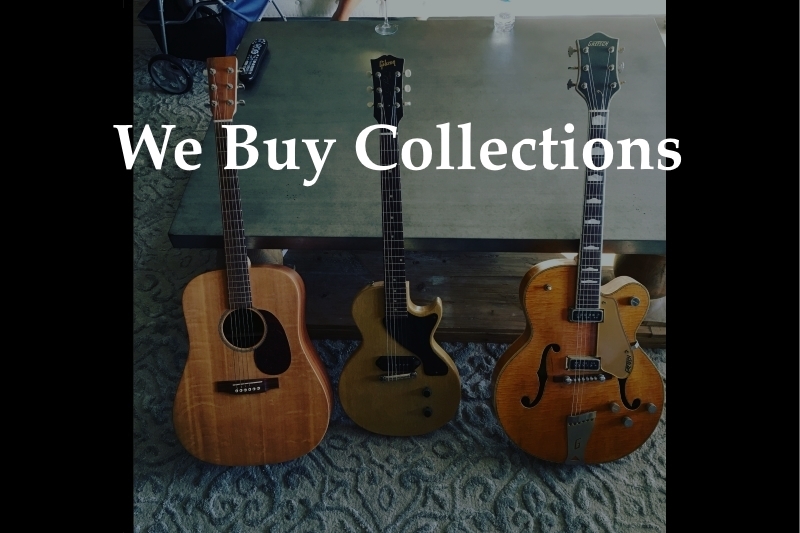 It can take a lot of time to sell off your collections individually but we will buy complete collections for top dollar and save you the hassle of selling each item one at a time! With our network of buyers, we can afford to pay you top dollar for your private collection. We Buy Antiques! Sell us your antique furniture, pottery, cut glass vases, rare old books, original works of art, listed artists, listed artwork, sculptures, bronze statues, original paintings, prints and more! Don’t sell your rare antiques and valuable collectibles to an Arizona antique store or antique dealer in Phoenix without calling us first! We have an extensive network of antique buyers and we will pay top dollar for antiques and artwork. We Buy Mid-Century Modern Furniture! We love mid-century furniture and will pay top dollar for unique and high quality collectible mid-century furniture. We want to buy your mid-century modern furniture and collectibles whether you have a unique Danish teak dining set, modern sofa, artwork, wall sculptures or pottery vases. Why wait for a consignment store in Phoenix to sell your furniture when you can call Fidelity Estate Services and sell us your mid-century furniture for an immediate cash payment! We Buy Automobiles! We buy low mileage estate vehicles and collectible cars in Arizona. Don’t risk getting less money for your car from a local car dealer in Phoenix. Why trade-in your car when you can sell us your quality automobile for cash and use cash for a down payment on your new ride! If you have a clean title or owe less than your car is worth, give us a call and we will make you a cash offer for your low mileage estate vehicle or vintage or collectible car or motorcycle.